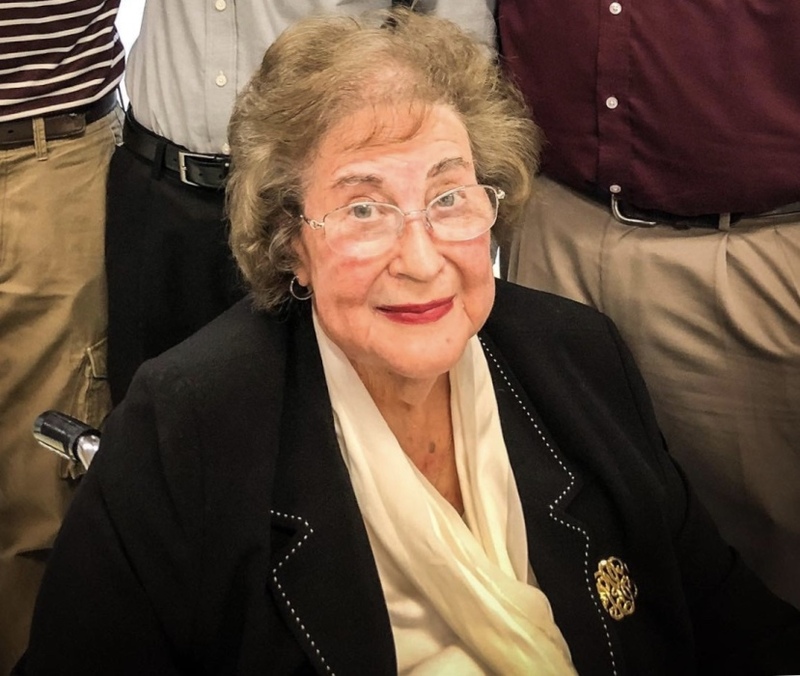 Zula Roland Taylor, passed away April 7, 2019 at Hospice Ministries in Ridgeland. Visitation will be held 5-7 pm Tuesday, April 9, 2019 at Ott and Lee Funeral Home in Brandon. Funeral Services are 2 pm Wednesday, April 10, 2019 at Ott & Lee Funeral Home in Brandon with burial at Floral Hills Cemetery in Pearl, MS. Dr. Keith Grubbs, Pastor of Park Place Baptist Church will officiate. Ms. Taylor is a longtime member of Park Place Baptist Church. Ms. Taylor was the daughter of Hutch McCrory and Bell McCrory, lifelong residents of Morton, MS. Ms. Taylor worked for the State of Mississippi Tax Commission and State Treasury Jackson, MS. as an Accountant/Auditor after moving to Jackson in 1978 from Vicksburg. She retired from the State of Mississippi Treasury Dept. Her prior work was accounting with Automobile Agencies. Ms. Taylor, is a member of The Eastern Star Accasia Chapter 56 Vicksburg, MS., Golden Wives of America, a DAV Wife Veteran Association. She also did neighborhood work with the Cancer & Heart Association. Ms. Taylor, is preceded in death by her father and mother Hutch McCrory and Bell McCrory. Her first husband Elmer W. Roland of many years, her second husband, Lawrence J. Taylor, Sr., her only child and daughter Brenda Roland Bragg, three brothers Oscar McCrory, Earl McCrory, and Oliver McCrory and one sister Lily McLemore, all of Morton, MS.
She is survived by her two grandsons Martin Roland Bragg, whose wife is Tammy of Brandon, and David Alan Bragg, whose wife is Morgan of Madison, MS; Four great grandsons, Christopher and Carter (of Martin & Tammy) Bragg, and Tyler and Tate (of David and Morgan) Bragg; Son in Law, George H. Bragg, whose wife is Susan of Orange Beach, AL. ; one stepson Larry Taylor, whose wife is Alice; two granddaughters Natalie and Lana Taylor all of Brandon, MS; two sisters, Robbie Townsend of Pearl, MS, and Ida Walker, whose husband is Johnny of Pelahatchie, MS and several loving nieces and nephews, and a host of friends and loved ones. Pallbearers will be Tim Frith, Allen Armour, Chad Thompson, Christopher Bragg, Clay Sells and Billy Kellum. Honorary Pallbearers will be: Bro James Edwards, Dr. Michael Albert, Dr. W. F. Kroos, Rev. Tom Fanning, John Pierce, and Charles Ray Thompson and Dwight McCrory. The family would like to thank Dr. Carrie Nash and the nurses with MS Home Care; all of her friends and church family for their prayers and goodness during our time of sorrow. Any contributions may be made to Park Place Baptist Church, Brandon MS., Masonic Children’s Home or Baptist Orphanage Jackson, MS. Please view our online guestbook at www.ottandleefuneralhome.com.